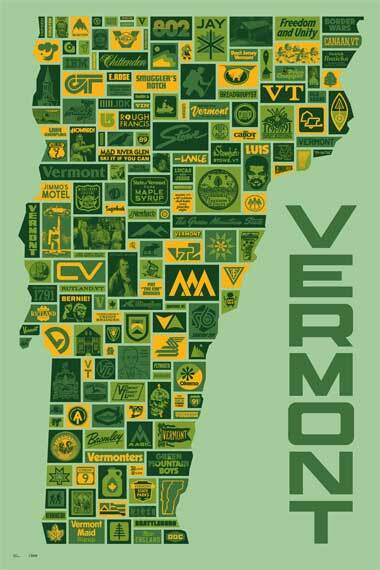 Poster by Draplin Design Co.
On Tuesday, May 6th 2014, Jonathan Kissam of The Vermont Workers’ Center will give a special talk about how to build grassroots community campaigns for social justice. The Vermont Workers’ Center has been at the center of the fight that won single-payer healthcare in Vermont. The talk is free, open to the public, and brought to you by our outstanding friends at Fight Back Pittsburgh. It takes place on May 6th from 6:30-8pm at PNC Legacy Project Exhibit, 600 Liberty Avenue, Pittsburgh, PA 15222. RSVP at Facebook, why don’t ya! Background Info: In 2011, the state of Vermont passed the nation’s first true universal healthcare law, Act 48. The Green Mountain Care Board established by Act 48 has a mandate to create a statewide single-payer system by 2017. In the meantime, it is leading the nation with the most progressive implementation of Obamacare of any state, ensuring that the “exchange” is publicly run and equitable. Jonathan Kissam of the Vermont Workers’ Center will discuss the remarkable campaigns that led to these victories: the Healthcare Is a Human Rights Campaign that led to the healthcare bill, and the subsequent Put People First campaign that has brought people together across party lines to win real victories. With the Vermont Workers’ Center, Put People First, and Fight Back Pittsburgh in the house, we expect one heck of an inspiring evening!